A night cityscape with light trails and a painterly quality made the challenge of shooting this subject worthwhile. 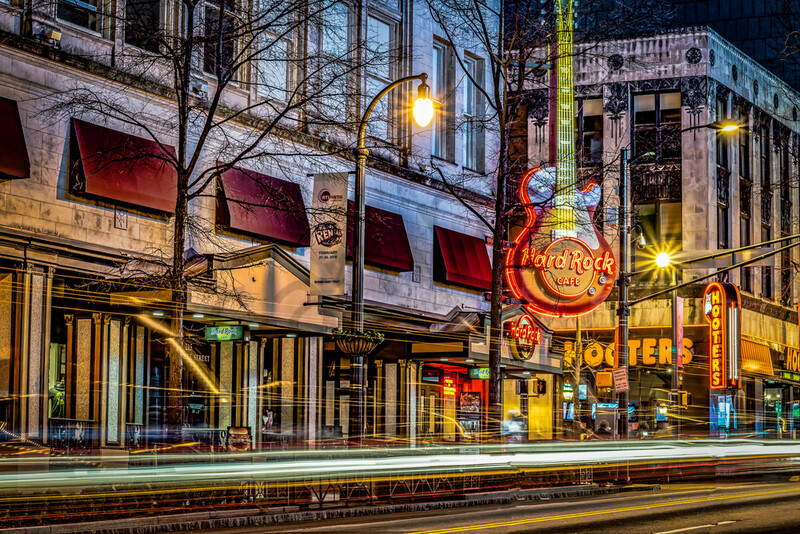 Here is the downtown Atlanta Hard Rock Cafe as well as Hooters as seen in the bustle of the Atlanta night scene. I love the final outcome of this print. It was a rigorous process. I took many shots over the course of a long hot evening trying to avoid getting hit by a car while planting my tripod slightly in the street to capture the scene I was imagining. In editing, I combined several shots to get the light trails and painterly quality.